Last month, I tweeted four psychological syndromes named after cities, and I think it's worth briefly mentioning them here, with the links for further investigation. 1) Paris Syndrome: wherein mainly Japanese tourists experience severe culture shock. 2) Jerusalem Syndrome: wherein tourists become religious zealots to the point of acting like ancient prophets. 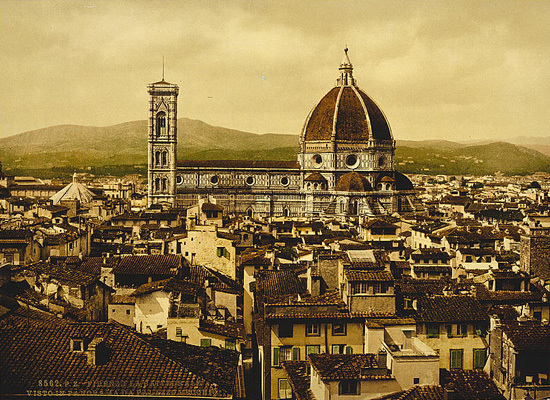 3) Florence Syndrome (aka Stendhal's): wherein tourists become overwhelmed by art. I've asked then, and I'll ask again: what other mental disorders are named after cities, particularly ones that are induced by a specific city? Peer reviewed, urban legends, literary, etc. Could there be such a thing as a Berlin Syndrome, wherein you attach abnormal levels of affections to a barrier wall or a security fence? Could there be an epidemic of this, of which Banksy is Patient Zero, in the West Bank? How might a New York City Syndrome manifest itself? Chicago Syndrome? In any case, I'd love to see a department of speculative urban syndromes at the Center for Disease Control, tucked away in the basement, crowded with filing cabinets and a poster, manned by two agents, one convinced of the growing aberrant psychosomatic effects of cities on a now mostly urban global population, the other a skeptic; you know them already, I think. There is a sort of London Syndrome... I always heard it pertained to people that would immigrate to London from Australia in January or February and would be susceptive to depression. From their summer to London's grey and sad winter. So far from home. There is something called Second City Syndrome, the inferiority complex that Chicagoans develop over New York and now LA. It manifests itself as excessive civic boosterism and put downs. I see from a quick Google that other cities like Toronto may use the term now too. We could postulate an "Amsterdam syndrome" where unexperienced tourists get zonked out of their brains on legally available joints and mushrooms and the jump off bridges. The Cincinnati Syndrome. After spending time in Cincinnati you believe Pete Rose should be let in the Hall of Fame. "Helsinki Syndrome" - watching too many die hard movies. A syndrome related to the Berlin Wall could be what is known as "mauer in den köpfen" or "wall in the head".. Where real (or imagined) differences between Germans from the East and the West influences their outlook and approaches to each other. New York syndrome? That would be the obsession with being able to afford an absurdly-priced apartment.